Since the acquisition of Ballynoe House in 2015, we endeavour to maintain and improve the diversity of wildflowers on the property. 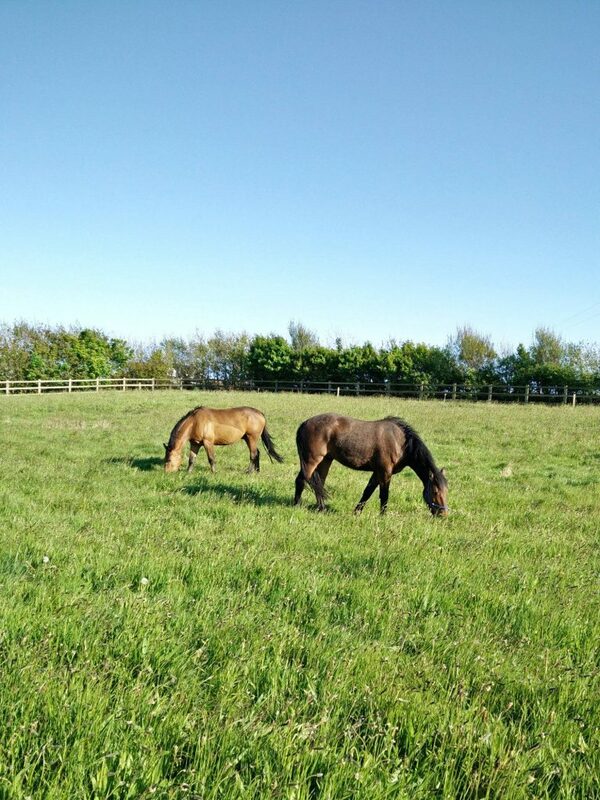 There are three areas that are meadow; the Paddock, the Upper Meadow & the Lower Meadow. Although familiar with most garden flowers, it has been interesting to learn about the variety of wildflowers in West Cork. We hope the diversity will also increase the number and species of butterflies. 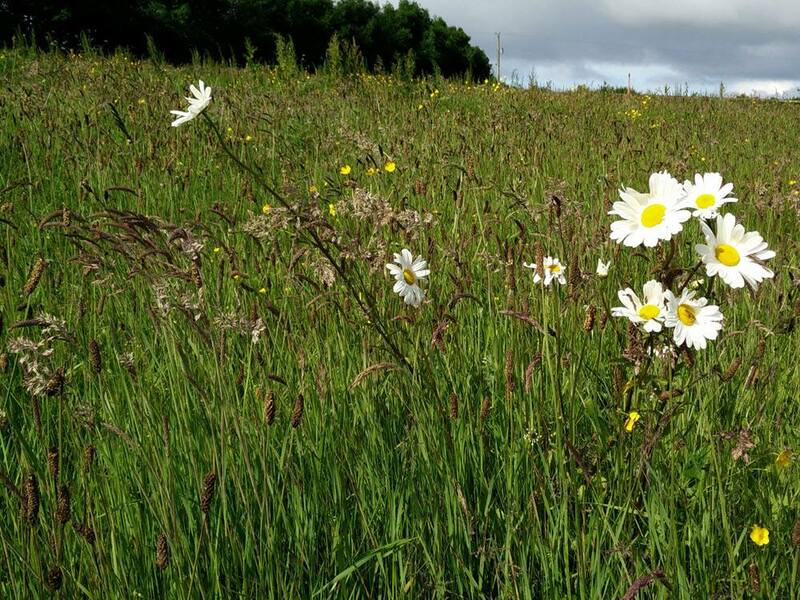 A valuable resource to Irish wildflower identification includes Irish Wildflowers and the Wildflowers of Ireland (Facebook page run by Zoe Devlin). The Paddock is mostly surrounded by a mixed woodland boundary. It is grazed up to twice a year by guest horses, but it otherwise left unattended. Also, twice a year spot spraying reduces the number of controlled invasive species such as dock and creeping thistle. Ragwort is removed by hand in all meadows. 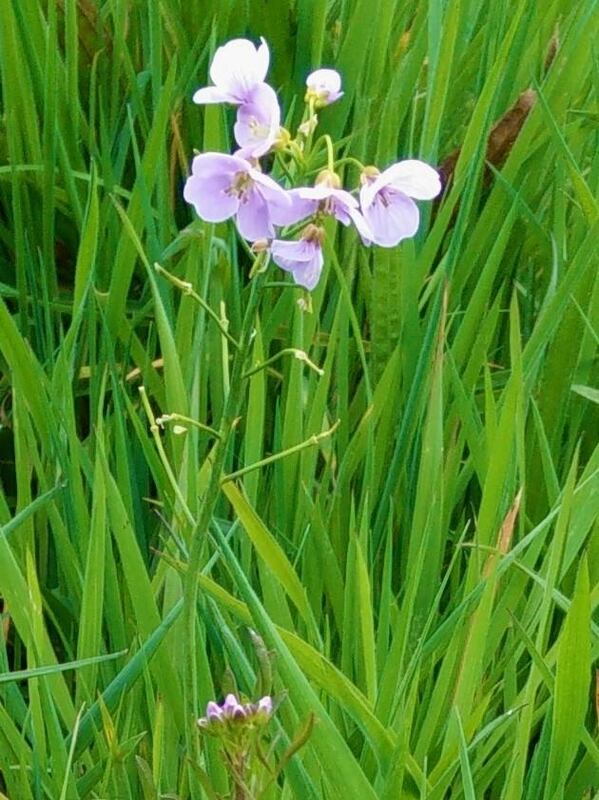 The Paddock is the only part of the property where the Cuckooflower has been found, and limited to a small, damper spot at the lower end of the field. Three cuckooflowers were recorded during a survey in Spring 2017. The Upper Meadow has a natural slope and is well drained. In addition to spot spraying, part of the area will be mechanically mowed to provide a children’s play area for guests staying at Ballynoe House. As much as possible will be maintained as wildflower meadow; mechanically cut ahead of, and after, the season for wildflowers. 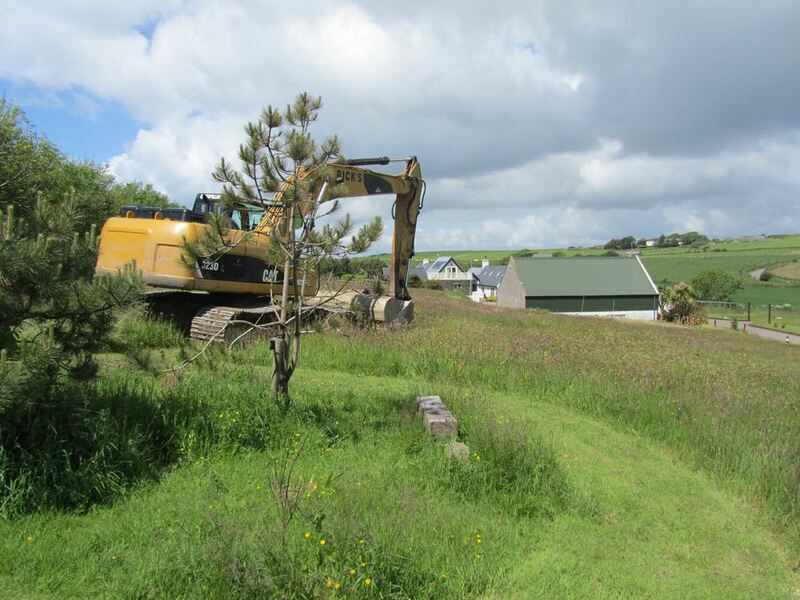 As part of the Ballynoe House Holiday Lets development, trenching had to take place across part of the Upper Meadow, but this has been partially restored with some of the wildflower mixed used in the Lower Meadow (full results pending, but some wildflowers have appeared late in 2017 and early 2018). About half was either left untouched or only lightly damaged by traffic. 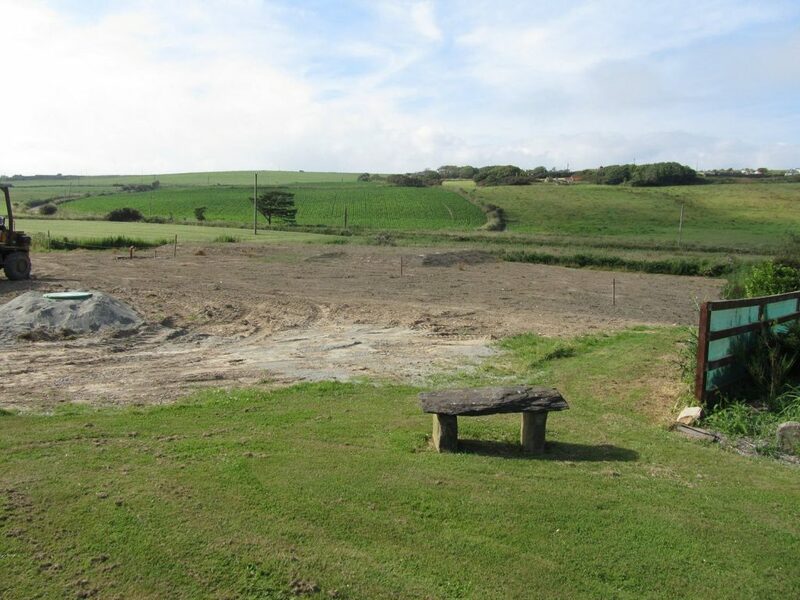 Groundworks severely damaged the Lower Meadow by excavations for soakaways, filtration beds, septic tank and an LPG tank. A small margin within the field was protected. The Lower Meadow is the dampest field at Ballynoe House and has the most diverse margin of the meadows with abundant vetch and marsh woundwort. The ditches retain moisture to the benefit of iris and some reed species. Groundworks were purposefully completed at the same time so the field could be restored as soon as possible and ahead of the 2017 autumn/winter season. The majority of the field was sown with a specially-ordered wildflower mix. 2kg of Birdsfoot Trefoil, Black Meddick, Burnet Saxifrage, Corn Marigold, Corn Poppy, Corncockle, Cornflower, Cowslip, Field Cranesbill, Field Scabious, Kidney Vetch, Lady’s Bedstraw, Lesser Knapweed, Marjoram, Scented Mayweed, Mullein, Ox-eye Daisy, Red Campion, Ribwort Plantain, Rough Hawksbit, Selfheal, Sorrel, St. Johnswort, White Campion, Wild Carrot, Yarrow, and Yellow Rattle, mixed with 2.25kg of Bluebell, Birdsfoot Trefoil, Centaury, Eyebright, Foxglove, Hemp Agrimony, Kidney Vetch, Lady’s Bedstraw, Lesser Knapweed, Mullein, Meadow Buttercup, Ox-eye Daisy, Red Campion, Red Clover, Ribwort Plantain, Rough Hawksbit, Salad Burnet, Sheep’s Bit Scabious, Selfheal, Sorrel, St. Johnswort, Wild Carrot, Yarrow, Yellow Rattle, White Stonecrop, 1% Bell Heather, 0.05% Sheep’s Sorrell, Wood Sage, White Bedstraw., Yellow Melliot, Hop trefoil, Bush Vetch, Hoary Plantain, Viola spp (Annuals include: Corn Marigold, Corncockle, Scented Mayweed, Red Bartsia). 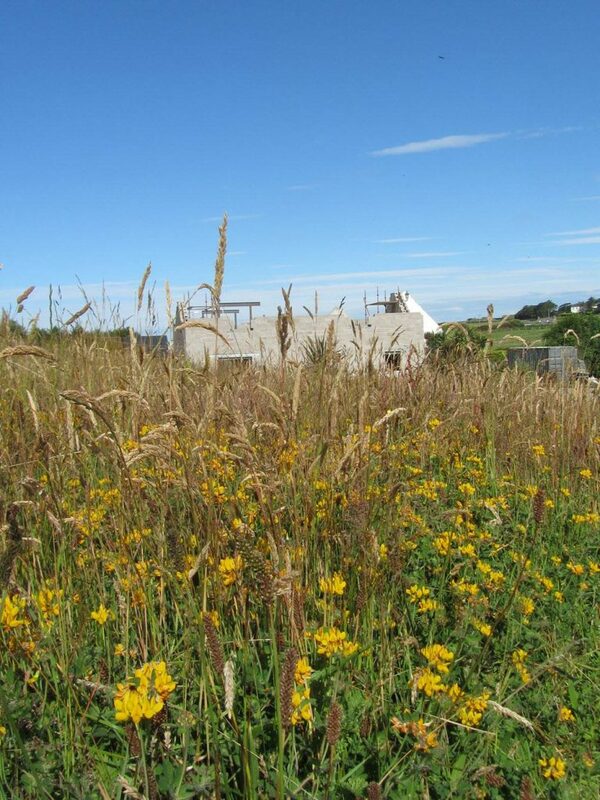 As the flowers may take up to 3 years to fully establish, we will be monitoring development carefully. We will continue to blog and post on Facebook about progress in this experiment.